Looking to purchase individual parts of Fitting Words? We also offer live classes for Fitting Words. The complete Fitting Words curriculum includes five parts: (Click HERE to purchase separately or learn more about each item). Andrew Pudewa, founder and director, Institute for Excellence in Writing (IEW). Fitting Words is the best balance between rigor and ease of use that I’ve seen yet. Review by Wesley J. Callihan, author of Old Western Culture and founder of Schola Classical Tutorials. Fitting Words is an outstanding rhetoric curriculum. Brian Daigle of Sequitur Academy, have given it high and well-deserved praise already (Brian: “Not only should this curriculum become the standard rhetoric curriculum in our Christian schools, it should become standard reading for all upper-level faculty, applying what is said here in every course…”) so mine is not necessary. I agree with Brian. Fitting Words is comprised of a textbook, a student workbook, an exam packet, and an answer key for the workbook and exams. The textbook comprises 30 lessons which follow the classical five canons of rhetoric. The text introduces, explains, builds on, reviews, and assigns practices for every important point raised. 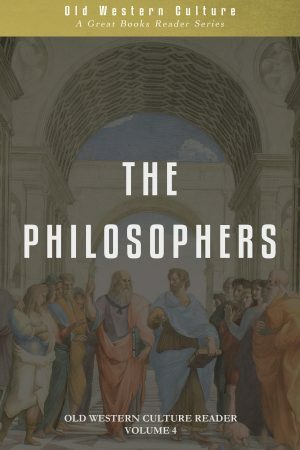 It regularly references the classical authors (Plato, Aristotle, Cicero, Quintilian, the Ad Herennium, etc.) often quoting them extensively as part of the assignment, but uses them in a clearly understood Christian context. In other words, it’s well anchored in the Old Western Tradition as the subject ought to be. 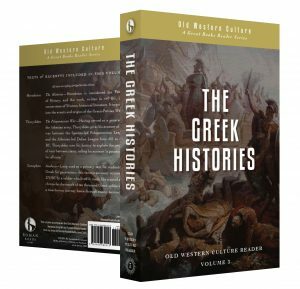 Each lesson has interesting sidebar quotes, key concepts listed, and practical speech assignments, a Thinking Deeper section for further discussion, Further Reading for greater background or fuller context in the original sources, and a source section if there are footnotes in the chapter (there usually are). The workbook has very full exercises that require the student not only to recall but to develop, synthesize, and elaborate. Since this subject (like all arts) requires theory, imitation, and practice, his curriculum provides the opportunity for all three: the textbook develops theory, the assignments in it and in the workbook provide application of theory and examples to imitate, and there are clear principles to help the student practice on his or her own, and clear guidelines for the teacher (or homsechooling parent) attempting to help the student move beyond the theory and imitation. The answer key is easy for a teacher to use and very clear, the exams are carefully constructed, and the whole package works together seamlessly, and has clearly been well thought through. A nice touch on top of all is that it has provided in the answer key two separate schedules for using this curriculum; one for a one-year course of 33 weeks with four classes per week (in my opinion the better approach), and one for a two-year course with fewer classes per week. I am particularly annoyed when rhetoric texts slight or don’t take seriously the Memory canon of classical rhetoric, but it has not made this mistake–Fitting Words has given memory its due, explaining its role in rhetoric and even giving a very clear, delightfully amusing, and immensely helpful example of how he himself might memorize Hamlet’s “To be or not to be” speech, using the loci method that most people slight. I mentioned early that homeschoolers can use this too. The supplementary materials (workbook, exam packet, answer keys to everything) will enable a parent with no experience in rhetoric to teach this well, but the real key for homeschoolers will be the videos that go along with the text and workbook. I am most impressed with the clear, concise, and logical way in which the curriculum presents, explains, and reinforces as it leads the student through the study of the art of rhetoric in his curriculum. Everything else supports that primary virtue. As I said at the beginning, I agree with Brian Daigle’s assessment: not only is this an outstanding rhetoric curriculum for high school level students, but if we really believe that rhetoric is an art for all of our communication and is, therefore, the capstone of the Trivium, then high school faculty should be required to study this course as well and to apply the principles laid out so well here in all their own teaching, in order to reinforce what we say we believe. By Brian Daigle, author of Street Fighting Logic, and headmaster of Sequitur Classical Academy. Truly, a rhetoric curriculum fitly written while no less fitly timed. If Proverbs says that “A word fitly spoken is like apples of gold in settings of silver,” then a page of Fitting Words is an apple tree, and a book of those pages is a fitting orchard. Fitting Words is a fitting orchard for which our Christian communities are in desperate need. This book may be written for high school students and teachers, but we ought not think the material covered here is beneath any of us, for a proper study of rhetoric ought to be required for doctoral candidates and plumbers alike. So, taste. And see that rhetoric, when fitly handled, is good. Of the several rhetoric curricula being written for Christian education, this one is balanced in all the important areas: Biblical wisdom, appropriate and enjoyable exercises, and a strong tether to the classical texts. If you enjoyed Nance’s logic curriculum, you will not be disappointed. He outdoes himself with this new rhetoric curriculum. If you want to climb the mount of classical rhetoric, Nance will be the Virgil to your Dante. And you won’t even have to go through hell or purgatory on your journey! 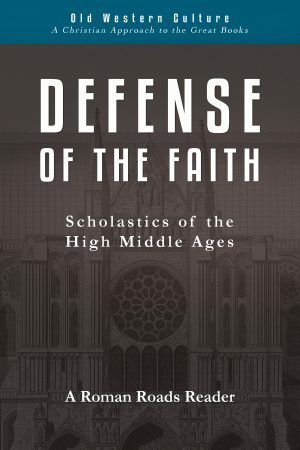 Not only should this curriculum become the standard rhetoric curriculum in our Christian schools, it should become standard reading for all upper level faculty, applying what is said here in every course taught in our Christian schools, for rhetoric, like logic, truly is an art and a science necessary for learning and teaching any subject whatsoever. There is an important balance when teaching rhetoric, a kind of line which every good teacher must walk: balancing theory and practice. Our students will not become great rhetoricians if they don’t practice, and when practicing they must practice the right kind of rhetoric. Nance has walked that line beautifully; he has given a curriculum which will equip rhetoric teachers to do the same. It is hard to come by a rhetoric curriculum that gets you in Scripture, analyzing and memorizing the text. It is likewise difficult to find a Biblicist who so clearly understands the importance and distinct characteristics of classical rhetoric. A third difficulty is having a curriculum which offers mature and age-appropriate exercises and examples made for the modern student. With his new book on rhetoric, Nance accomplishes all three: classical, Christian, and relevant. The greatest compliment I can give of this curriculum is that it could not get into my own children’s hands and heads fast enough. 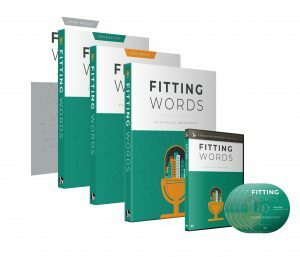 Go to Fitting Words Individual Products page for samples of each part of the curriculum. Rhetoric is the capstone of a classical education. In rhetoric, the student learns to synthesize the elements of his education, and to deliver his words with conviction, elegance, and persuasiveness. Because we all speak every day, rhetoric is is one of the most important courses within a curriculum. And yet, there are almost no complete high school rhetoric curriculums taught from a Christian worldview. Until now. Fitting Words: Classical Rhetoric is not a companion book. It is not a help. It is a complete and robust rhetoric curriculum, training students in the five skills of oratory: invention, arrangement, style, memory, and delivery. Invention means developing effective arguments. Arrangement means organizing those arguments in a persuasive way. Style means finding the fitting words for the arguments invented and arranged, words of clarity and elegance. Memory includes practical skills for recalling the words of a speech. Delivery is the effective use of one’s voice and body in speaking. In addition to the student text, Fitting Words includes a full workbook with daily exercises, nine exams, answer keys, and an optional video course. The Lord presents Himself as a speaking God, accomplishing His will by His word (Isaiah 55:11). Fitting Words is anchored on the Word of God and written from a Christian perspective. Examples from scripture are used throughout the lessons, and an appendix identifies more than 500 speeches in the Bible. For thousands of years, the fathers of western civilization, including our church fathers, were trained in classical rhetoric. We desire to turn this generation back to the education of these great men. Fitting Words synthesizes the teachings of Aristotle, Cicero, Quintilian, Augustine, and more, following the historical, classical tradition. Lessons to be learned are illustrated through the use of the greatest speeches in history: classical, biblical, medieval and modern. It is a product of experience. Written by Roman Roads staff, with experience teaching classical rhetoric to young people. Fitting Words is beautifully designed and illustrated, balancing elegance with clarity. Every lesson includes exercises for students to practice the concepts learned, discussion questions for thinking deeper, book suggestions for reading further, and a variety of thought-provoking quotes for developing memory. One Roman rhetorician wisely said, “Theory without continuous practice in speaking is of little avail.” Consequently, students will write and deliver up to five complete speeches to apply the lessons throughout the Fitting Words text. How is the Second Edition (2018) different from the First Edition (2016)? Very little difference! The Second Edition (2018, and current edition) was primarily a graphical overhaul. We like the new look, and we hope you will too! It also has a new foreword by Brian Daigle, Rhetoric in the Hands of an Angry Mod. Page numbers remained intact, meaning you can mix the first and second edition materials.